PhoneGap (created by Nitobi) was the first and notable framework that captured the attention of the mobile application development community and was eventually acquired by Adobe Systems. Titanium (from Appcelerator), which was already providing tools for cross-platform application development for Desktops, started supporting iOS and Android around the same time as PhoneGap was announced. 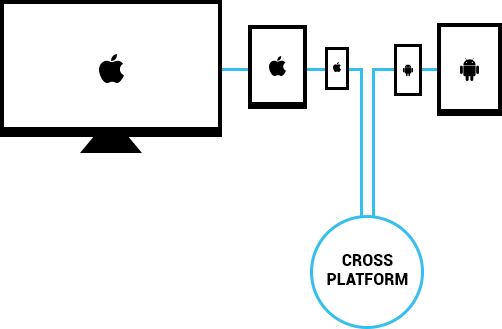 Now, let’s see how PhoneGap and Titanium compare in cross-platform app development and when to choose one of these for your application needs. Control on app release: If you want absolute control on the app release and bypass the review processes of the platform specific app stores, pick PhoneGap. Since PhoneGap apps are more like app enclosed websites, you can release/update websites as frequently as you would want to and the app is instantly updated for all of your users. 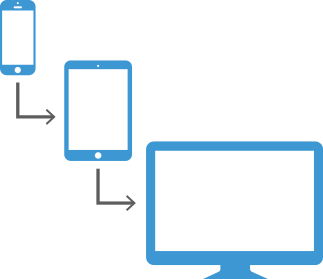 Porting an existing web app to mobile: If you have the business logic built and the website already working, then PhoneGap route is the quickest, provided you can quickly make most of your web pages / website mobile friendly. Need native UI, but do not know platform specific languages: Titanium wins, because your app can be deployed to all platform specific stores that are currently supported by Titanium. With PhoneGap, your app UI will not be native and performance will depend on the web browser of the platform and its limitations. Support all major mobile platforms: PhoneGap is the choice here, it supports iOS, Android, Blackberry 10, Windows 8 and Windows Phone 8, Amazon Fire OS and Tizen. Since the framework and the architecture of PhoneGap are simple, they can be quickly ported to any new platform that may be announced in the future. Titanium, on the other hand, currently supports iOS, Android with BB 10 and Windows (recently added). Adding a new platform to the list supported by Titanium takes a lot of effort and Titanium may or may not choose to support it. Software and Hardware needed (infra): PhoneGap applications can be built on any system with just a browser. But tools like Dreamweaver, etc., can be used to help in the process. You would need to have the platform specific OS, SDK, and IDEs only if you want to build the application for deployment on your own machine. You can use a service called PhoneGap Build to build your apps for all supported platforms on the cloud and get the binaries. Titanium, on the other hand, requires platform specific hardware/software/SDKs to be installed to develop and build the apps. This blog does not intend to show one tool is better than the other, since there is never a “one shoe fits all” scenario. Your project requirements and priorities should help you choose the tool.